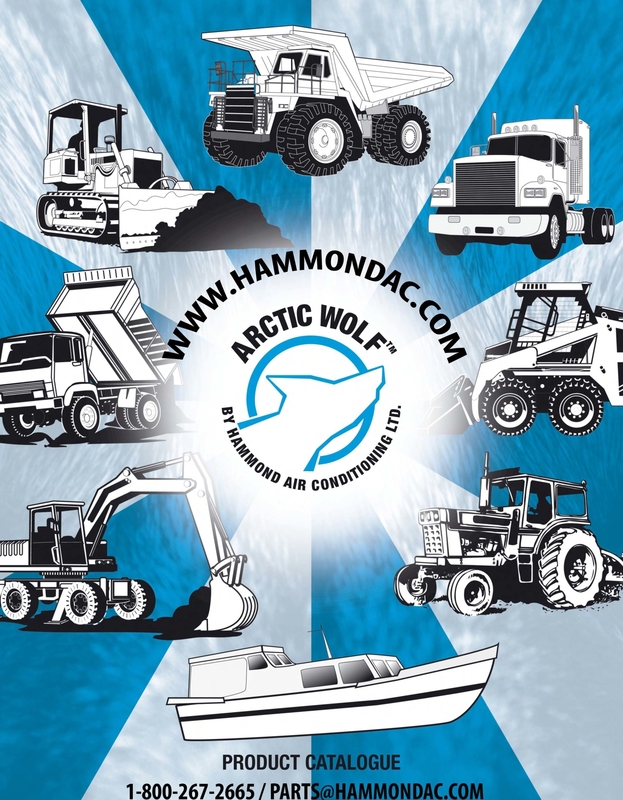 Manufacture Heavy Equipment after market air conditioning systems Arctic Wolf for most makes and models of heavy equipment and farm equipment. Service and installation of air conditioning systems on heavy equipment and farm tractors. Anything with an engine and a cab we can air condition. $1,000,000 of air conditioning parts inventory for most makes and models of heavy equipment, farm equipment, transport trucks and some vehicle. Parts include compressors, receiver driers, expansion valves, fittings, hoses and we can make air conditioning hoses. Manufacture the Arctic Breeze Truck A/C battery powered air conditioning system for no idle transport trucks and heavy equipment. We can keep you cool while you truck is shut off. Please visit our website: www.hammondac.com or email us at sales@hammondac.com.